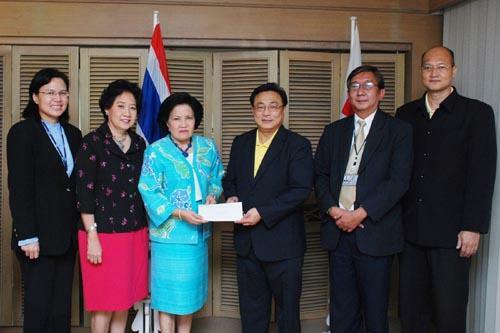 Dr. Apichai Boontherawara, President of Export-Import Bank of Thailand (EXIM Thailand), recently donated 209,000 baht on behalf of EXIM Thailand to help the victims of Cyclone Nargis in Myanmar. M.R. 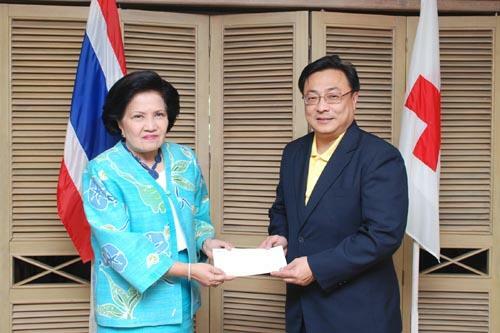 Priyangsri Watanakun, Assistant Secretary - General Director of Fund Raising Bureau, Thai Red Cross Society, received the donation at Thai Red Cross Society, Chulalongkorn Hospital, June 6 2008.